Registration form must be completed and payment made no later than June 1st, 2019. Tuition includes all supplies and camper t-shirt. T-shirts will be worn on Fridays for Parent Connection and Competition Events. Campers may bring or purchase a snack. There will be daily mid-day breaks. 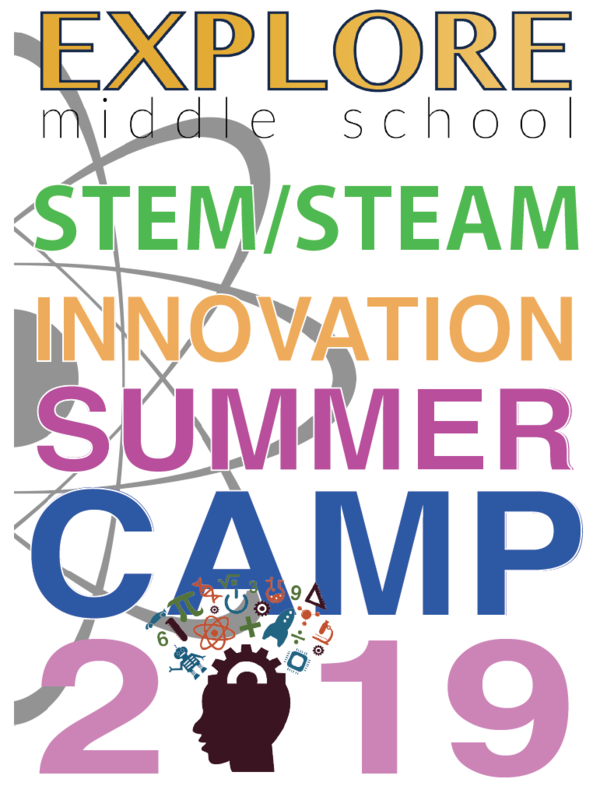 STEM Summer Camp 2019 will be directed and taught by certified teachers from Explore Middle School and certified facilitators from STEM Education, LLC. Registration form must be completed and payment submitted to Explore Middle School no later than June 1st, 2019. This form is for credit card payment only.